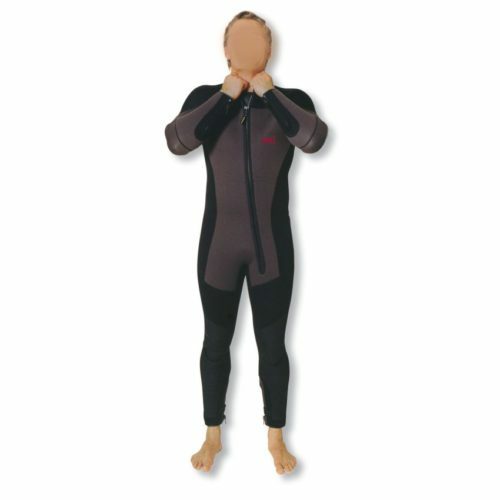 This one-piece semi-dry diving suit is available in sizes XS – XXL. PKI 7505 is extremely resistant against pressure. Knee and side pads are manufactured from solid, long-lasting fabrics. A separate hood is included. Zipper at arms and legs allow comfortable dressing. The diagonal main zipper is completely underlayed and has no contact to the body.